Calhoun, F.S. & Weston, S.W. (2009). Threat Assessment and Management Strategies – Identifying the Howlers and Hunters. Boca Raton: CRC Press. Critical Incident Response Group, National Center for the Analysis of Violent Crime (1999). The School Shooter: A Threat Assessment Perspective. Quantico, VA: FBI Academy. Cullen, D. (2009). Columbine.New York: Hachette Book Group. De Becker, G. (1999). The Gift of Fear. New York: Random House. Fast, J. (2008). Ceremonial Violence: A Psychological Explanation for School Shooting.New York: Overlook Press. Grossman, Lt. Col. D. & DeGaetano, G. (1999). Stop Teaching Our Kids to Kill. New York: Random House. Kass, J. (2009). Columbine A True Crime Story. Denver: Ghost Road Press. Klebold, S. (2016) A Mother’s Reckoning. New York: Crown Publishers. Langman, P. (2009). Why Kids Kill: Inside the Minds of School Shooters. Langman, P. (2015). School Shooters. Lanham, MD: Rowman & Littlefield. Lieberman, J.A. (2008). SchoolShootings.New York:Citadel Press Books. Meloy, R. & Hoffmann, J., eds. (2014) International Handbook of Threat Assessment. Oxford University Press. Mohandie, K. (2000). School Violence Threat Management. San Diego: Specialized Training Services. Ripley, A. (2008). The Unthinkable: Who Survives When Disaster Strikes and Why. New York: Crown Publishers. National Research Council, Institute of Medicine (2003). Deadly Lessons: Understanding Lethal School Violence. Washington, DC: The National Academies Press. Newman, K. S., Fox, C., Roth, W. & Mehta, J. (2004). Rampage: The Social Roots of School Shootings. Basic Books, Perseus Book Group. United States Secret Service and United States Department of Education (2002). Threat Assessment in Schools: A Guide to Managing Threatening Situations and to Creating Safe School Climates.Washington, D.C.
U.S. Department of Education (1998). Early Warning Timely Response – A Guide to Safe Schools. Washington, D.C.
United States Secret Service and United States Department of Education (2002). 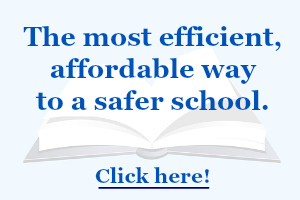 The Final Report and Findings of the Safe School Initiative: Implications for the Prevention of School Attacks in the United States. Washington, D.C.